In our current world, we are bombarded with information. However, too often we proceed with only one half of the story. Social media, and media in general, can provide us with snippets of a situation, but may not always convey the full story. People can have an agenda, and it may not always be pure. Just because it’s on cable news, or the Internet does not mean it’s true. We even spread the information without verifying its validity. 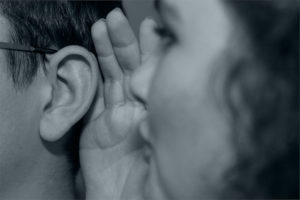 What we hear initially often makes total sense or is completely believable. But when we hear the other side, we often say to ourselves, “I hadn’t thought of it that way.” What we thought was correct turned out to be completely false. The more we hear the same message, the more it is reinforced–no matter how untrue it may be. We tend to only listen to the side that aligns with our preset beliefs. We “block” those with differing views. People discourage us from listening to the opposite perspective, but the truth can stand scrutiny. We need to be open to discussion, even if we ultimately disagree. The person with a different worldview than mine is not always wrong, just as I am not always right. It would do us all good to exercise critical thinking when processing what we read, hear and see. Wait to draw a conclusion until we have examined all the available facts. Think about how we feel when misinformation is communicated about us. Let’s not be guilty of jumping to the wrong conclusions before we’ve heard the other side.